Toyota is recalling its popular Sienna Van for many of its model years. Click here to see if your vehicle is on the list, and what to do if it is. Toyota is recalling the Sienna family van for years 2004,5,79. This is the second generation of the very popular vehicle. In total, Toyota estimates there are about 615,000 affected vehicles. During those years approximately 675,000 Siennas were built, so if you own a Sienna manufactured during one of these four model years it is likely part of this recall. 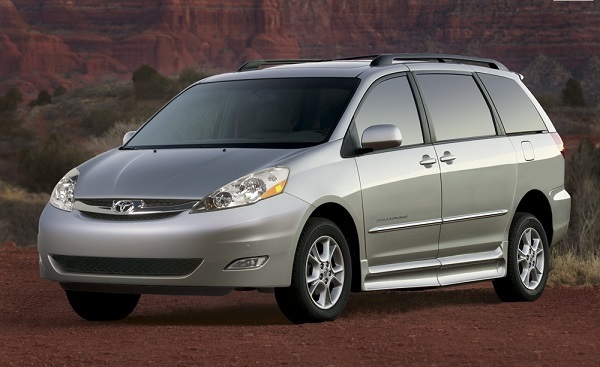 The Sienna is being recalled for a possible problem with the shift lock solenoid. In subject vehicles, the shift lock mechanism made not work and the vehicle could possibly be shifted out of P without depressing the brake pedal. Thus, in that scenario, a roll-away could occur. Toyota plans to notify its customers by first class mail. However, if you own one of these vehicles a call to your local dealership will determine if your vehicle requires service. Those vehicles that do require a repair will have the part replaced. Proper use of the parking brake may be helpful in the interim. In 2012 Toyota was the recall king of the hill. That is not really much of a surprise since Toyota is among the top three vehicle manufacturers year in and year out in the United States. Interestingly, Toyota is also usually the winner or among the top couple manufacturers in quality rankings as well. These 615,000 vehicles will join the half-million Corollas and other similar cars recalled earlier this year along with a recent recall on some hybrid Toyotas and some Lexus models.